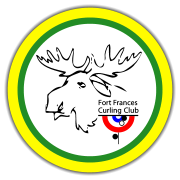 Registration takes place in early September for all of our Leagues – Day League, Night Leagues, and Junior Program (Little Rocks, Bantams and Juniors). A waiver form must be signed prior to play. The waiver will be signed at registration or obtained from the Club Manager for signature. Spares We love our spares! If you can’t make a game, be sure to arrange for a curler to take your place in advance of your game.